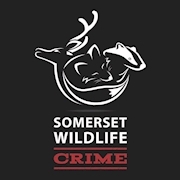 Support Somerset Wildlife Crime on Ko-fi.com! - Ko-fi ❤️ Where creators get paid by fans, with a 'Buy Me a Coffee' button. We are a group of volunteers committed to protecting wildlife in Somerset. We monitor all forms of hunting, gather evidence of any offences and liaise with police. We operate a 24hr response to wildlife casualties or reports of wildlife crime. Welcome to our Ko-fi Page. If you enjoy my content, please consider supporting what we do. Thank you. Secured Payments. Support goes to Somerset Wildlife Crime's account. Upgrade Somerset Wildlife Crime to a yearly Gold Membership with a one-time payment.